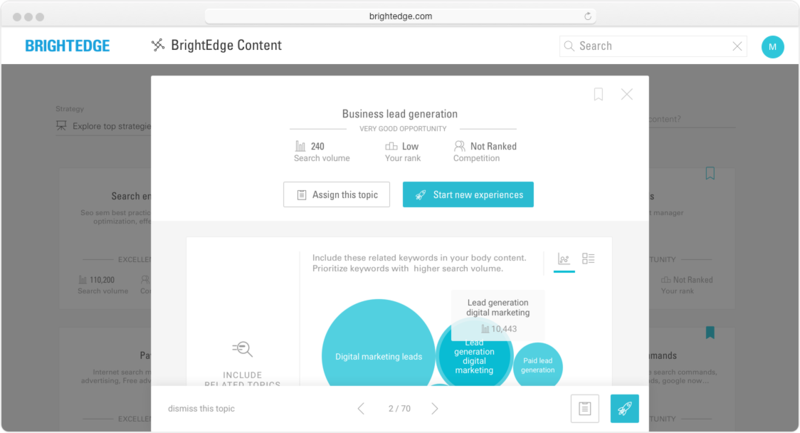 BrightEdge Content is an AI-powered content marketing solution for increasing website traffic, conversions, and revenue. 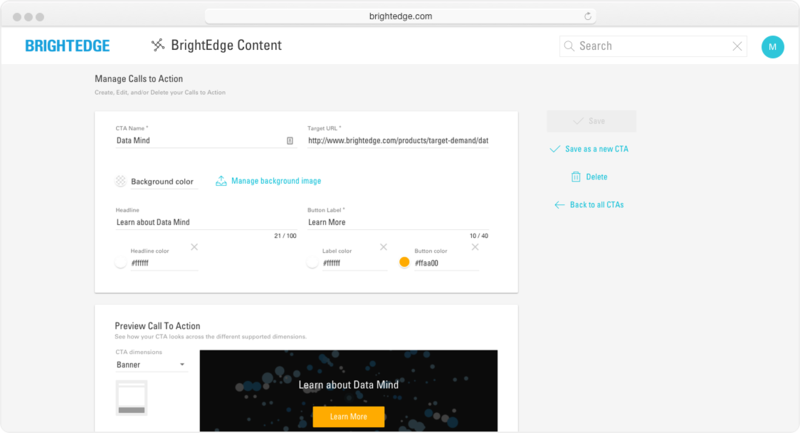 Powered by BrightEdge DataMind and natively integrated in the BrightEdge Platform, BrightEdge Content blends the search marketing and content marketing best practices and powers the development, activation, and automated optimization of Smart Content. Use an intuitive and flexible editor to format page layouts, customize headers, and manipulate text. Insert and adjust images and videos. Add links and lists in one click. Format content as you write it to reduce design time. 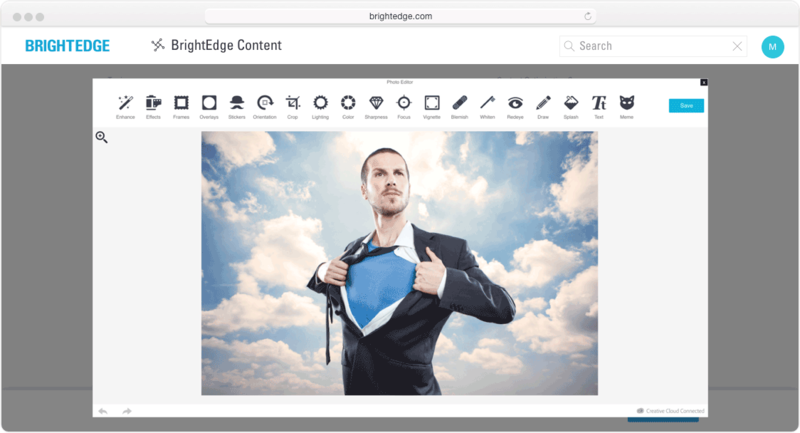 BrightEdge Content even retains formatting, styling, and links from pre-existing rich text in copy-paste. A built-in image editor makes it easy to enhance graphics right inside the document. Apply effects, frames, and overlays. Crop, resize, and adjust color and lighting. You can even draw on or add text directly to the image. 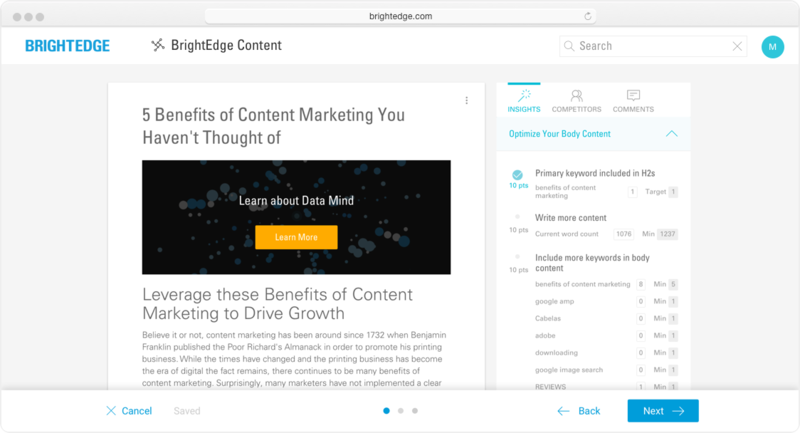 BrightEdge Content leverages BrightEdge DataMind to analyze your written content. It provides context-sensitive guides – including content optimization scores, SEO and text length suggestions, and readability assessments – to ensure your content continues to outperform the competition as SEO standards evolve. 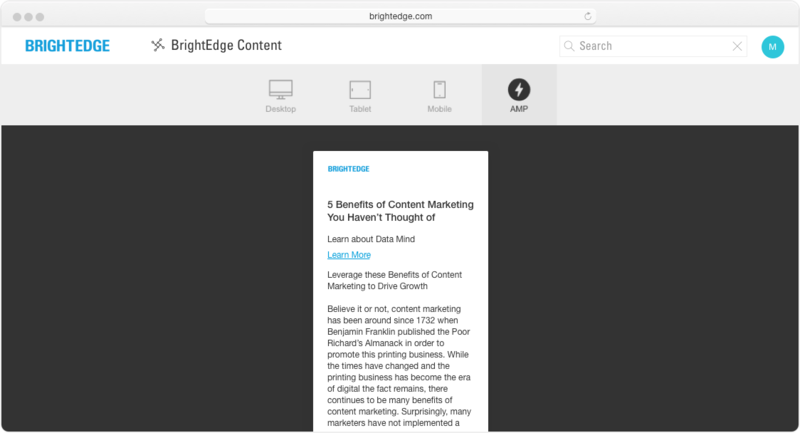 BrightEdge Content keeps readers engaged with smart internal linking. It scans for potential anchor text as you type, identifying high-performing content as targets. Insert hyperlinks with a single click. Add dynamic content recommendations or insert your own promoted content. Download BrightEdge Content datasheet to learn more. 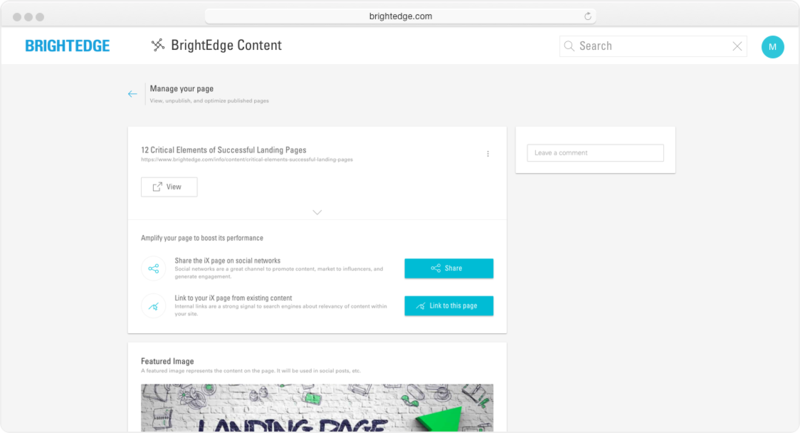 Analysis inside BrightEdge Content highlights the most strategic CTAs, so you can direct traffic to your site’s conversion pages and create more leads. See which current CTAs are performing best and view recommended CTAs for any page. Choose from a library of CTAs or create your own, then instantly embed them into your content. Increase your content production efficiency with customizable workflows. Keep milestones on track by streamlining assignments, reviews, and approvals. Leverage insights to focus on content that delivers the greatest value. 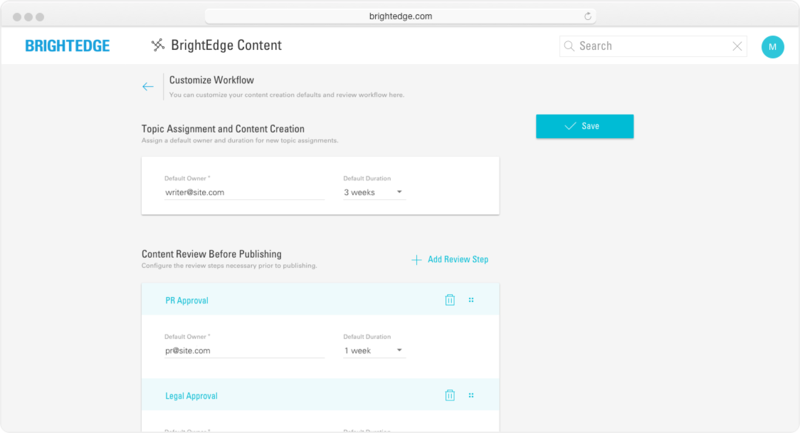 BrightEdge Content includes post-publishing workflows to ensure your content makes the strongest possible impact. Push new content to social channels such as Facebook and Twitter. Leverage internal linking suggestions to integrate your new content with existing content and pages. 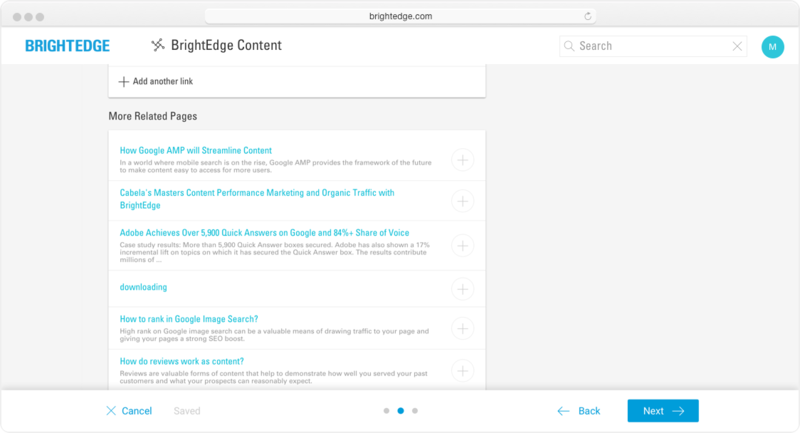 BrightEdge Content creates Accelerated Mobile Pages (AMP) versions of your content for quick loading on mobile devices. Continuous auto-optimization keeps your published content visible in organic search without additional effort. Visually driven reporting helps you communicate your content’s business value. Illustrate your organic campaigns’ contribution toward key performance indicators, such as website visits, page views, conversions, and revenue. BrightEdge Content is delivering solid results for us. In the first three months of deploying its Smart Content, organic traffic to these pages increased by 150% cumulatively. 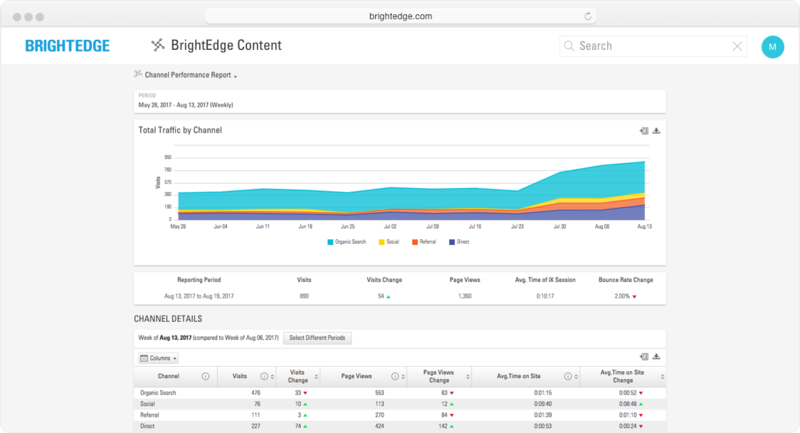 BrightEdge ContentIQ is the most advanced – and complete – website audit solution for the world’s largest websites. Resolve site errors so your content outperforms the competition on search engines. 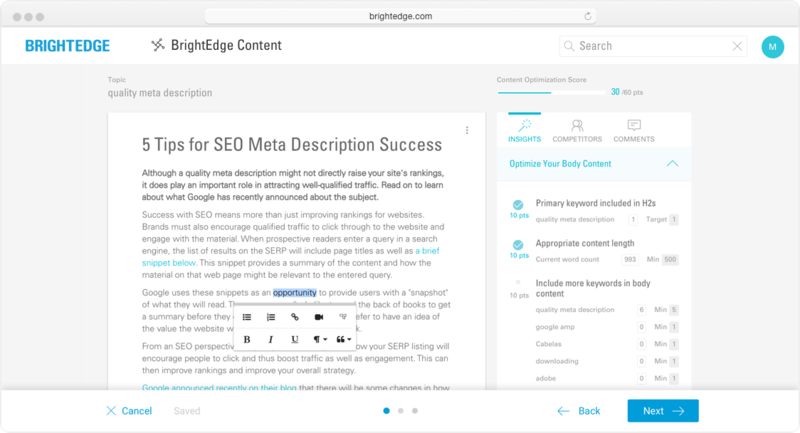 BrightEdge Recommendations improves the SEO performance of your site with prescriptive instructions for every content page.